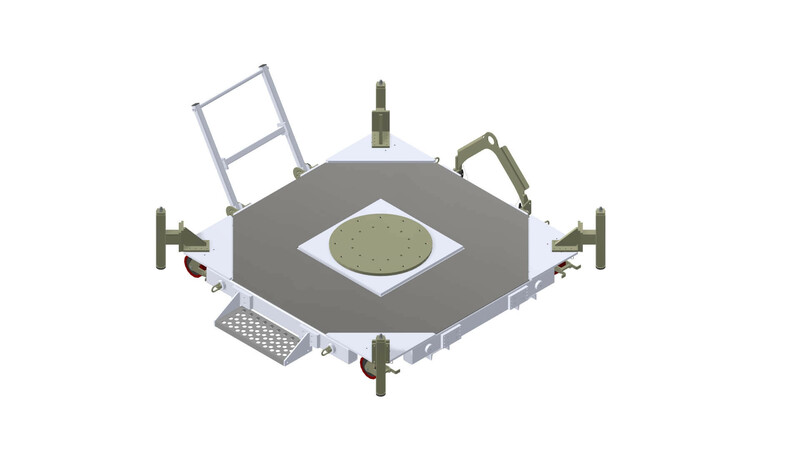 The Small Satellite Mobile Platform shown below is designed to support smaller space vehicles that weigh 2,000 lbs and less and have a CG offset of less than 100” from the mounting interface. 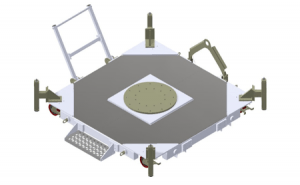 For more information, please visit the Small Satellite Mobile Platforms Options page and SMP-SM CREATING A MODEL NUMBER pdf. Rated Load Capacity: 2,000 lbs with CG located at 100” above mounting interface and 5” from the longitudinal axis. Payload Interface: Ø32” plate with Ø28” hole pattern. For SMP-SM Series – Creating a Model Number pdf click here.